Offering you a complete choice of products which include gemstone labradorite chain, peru chalcedony bezel chain, natural dendrite opal chain, lavender bezel chain, black onyx bezel chain and pink chalcedony connector chain. 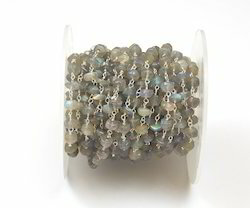 Welcome to the 925 sterling silver jewelry, Gemstone Labradorite Chain is a silver jewelry company. We are Wholesaler, Retailer, Exporter and Supplier of 925 Sterling Silver, Beaded Rosary Chain & All Imitation Jewelry with or without Genuine Precious & Semi Precious Stones. We are situated in Jaipur (The Pink City Of India). Packaging Details: Packing¿¿¿.. With years of export experience along with excellent quality, advanced services and competitive prices, Sameer Art & Craft has won numerous customers' trust and support.With years of export experience along with excellent quality, advanced services and competitive prices, Sameer Art & Craft has won numerous customers' trust and support. Delivery.....	With years of export experience along with excellent quality, advanced services and competitive prices, Sameer Art & Craft has won numerous customers' trust and support.With years of export experience along with excellent quality, advanced services and competitive prices, Sameer Art & Craft has won numerous customers' trust and support. 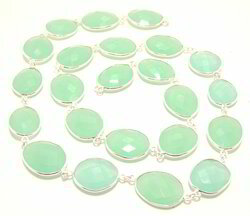 Peru Chalcedony Bezel Chain Silver Plated Bezel Connector Chain. 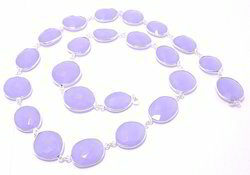 Lavender Bezel Chain Silver Plated Bezel Connector Chain. 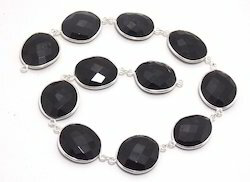 Black Onyx Bezel Chain With Silver Plated;- Black Onyx Bezel Chain With Silver Plated. 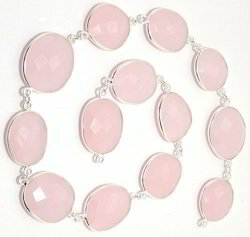 Pink Chalcedony Connector Chain Bezel Chain With Silver Plated. Solar Slcie Connector Chain With gold Plated. Packaging Details: Packing???. With years of export experience along with excellent quality, advanced services and competitive prices, Sameer Art & Craft has won numerous customers' trust and support.With years of export experience along with excellent quality, advanced services and competitive prices, Sameer Art & Craft has won numerous customers' trust and support. Delivery??? With years of export experience along with excellent quality, advanced services and competitive prices, Sameer Art & Craft has won numerous customers' trust and support.With years of export experience along with excellent quality, advanced services and competitive prices, Sameer Art & Craft has won numerous customers' trust and support. 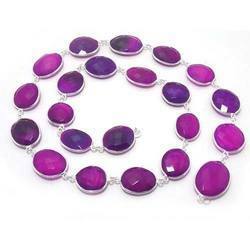 Amethyst Bezel Chain With Silver Plated Chain. Silver Polish Light Weight Unique Design World Famous Look. 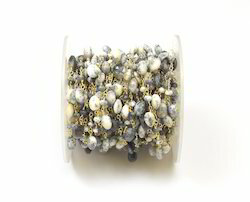 Please contact for the wholesale prices 925 Sterling Silver Bezel Connectors studded with faceted gemstones and Quartz. 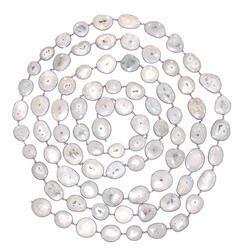 manufacturer, exporter, supplier, and wholesaler of Sterling Silver Jewelry, Beaded Chains, Wire Wrapped Chains, Rosary Chains, Gemstone Connectors, Bezel Sets Silver Necklace, Fine Sterling Silver Pendants, Sterling Silver Bracelet and Sterling Silver Earrings, Silver Beads Finding, And Imitation Jewelry All kind of Fine Silver Jewelry, etc.